Exercise sculpts and tones the body, microcurrent contours and tones the face. Like exercise, benefits are visible and long-lasting with continued use. NuFACE is Fitness for Your Face, the easiest workout you'll ever do!Skin Care is Your Nutrition + Microcurrent is Your Exercise. Why Microcurrent? As we age, our body's natural current begins to slow down (like our metabolism) leading to sagging skin, loss of contour & wrinkles.Microcurrent mimics this natural current and goes beyond skin deep to tone facial muscles while improving contour, skin tone & reduction of fine lines & wrinkles. 2. Lift: Glide or hold the NuFACE Trinity® ELE on face as directed. The Elle Attachment is necessary to get complete results from your NuFace. I use it on both my eyelids and brow bones (under my brows) to lift my eyelids and it ABSOLUTELY works! The whole NuFace system has been a complete game changer by lifting my face and jawline and I highly recommend it for everyone 40 years and older. 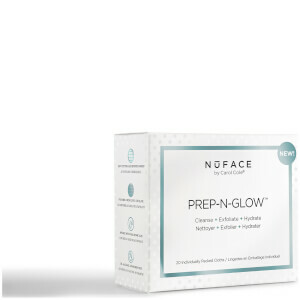 I've seen firsthand what NuFace has done for my own skin as well as for many friends and acquaintances. What I don't understand is 1) why the Elle Attachment is so VERY expensive for what it is(! ), and 2) why the Elle Attachment isn't included in the NuFace Trinity? For complete results every NuFace user should have the Elle Attachment and it should be included with the NuFace Trinity. The one sent to me may be defective. I don't feel anything in my skin when I use this attachment. I even tried it without the gel to see if I can feel current but I don't. As a result, I don't notice any results. I mainly use this device head on around my eye area. It's very gentle but I don't use full strength. I can feel lifting and firming at the end of my eye corner and my bags got shrank. This product works but the price is a little bit too high. 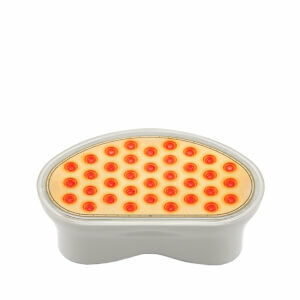 I recommend try the regular big round head first and see if electro current works on your skin. Then you can go ahead and invest on this. I purchased the NuFace Trinity over a month ago and am seeing results with the Trinity and it's attachments. The Ele is designed to reach the areas the Trinity can't, such as the laugh lines around the mouth, above & under the lips and around the eye area. I am seeing noticeable results and am very happy with my purchases. The only issue I have is having to apply the gel in between switching to different areas of the face. If gel is applied to all the intended areas first, then it dries out and I have to spray my face with water to remoisten the gel (I bought a small inexpensive spray bottle for this purpose). I still highly recommend the NuFace and it's attachments because I am definitely seeing great results after only a month of purchase, and using it faithfully every night, which is key to getting great results. Wonderful addition to the nuface. I saw results after the first time I used this attachment.If you like NuFace, then you need to buy this attachment. Enjoy! Either my attachment was defective or it just doesn't work. Either way, can't recommend this attachment. With the regular head, I know it works because I sometimes put it on my skin without gel so that I can feel the current. This attachment, there was no current coming through! Useless. I really love this wish I had purchased this in the beginning. I cannot say that I am faithful in using every day. Once you set yourself up i.e. where you might be watching tv at night it becomes easy to do. I notice the improvement. I recently had two separate people tell me how nice I look.